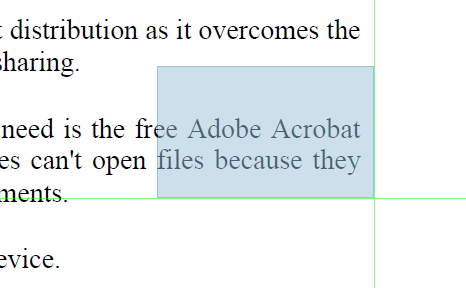 To edit a PDF file, you must use Adobe Acrobat XI Pro. 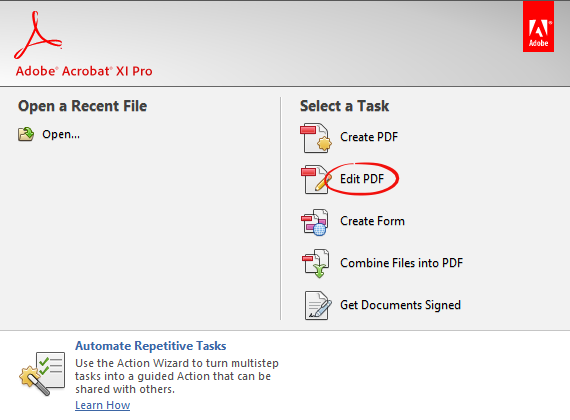 To download XI Pro or for more information, visit the Adobe Acrobat website. Open Adobe Acrobat XI Pro. 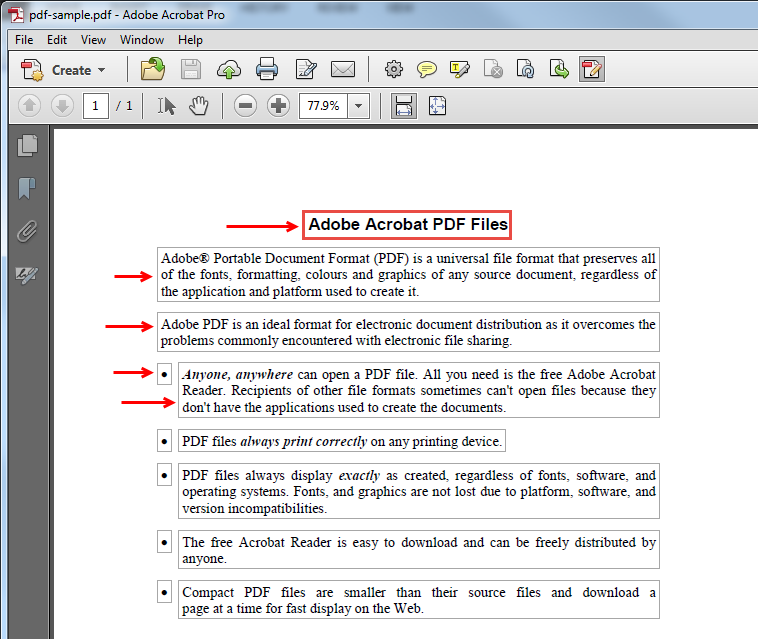 Select Edit PDF under Select a Task. 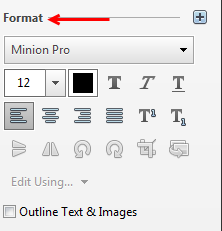 Select the PDF you wish to edit in the dialogue box. 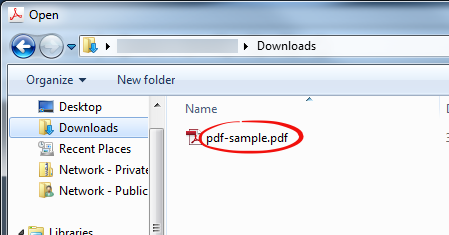 Do not open the PDF directly from your folder, always open Adobe first. 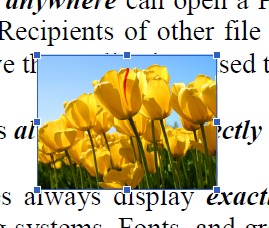 The squares around the images and texts indicate portions of the file that can be edited. 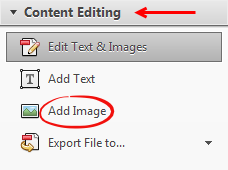 Select the box you would like to edit, or follow the instructions below for adding an image or adding text. In the Content Editing tab, select Add Image. 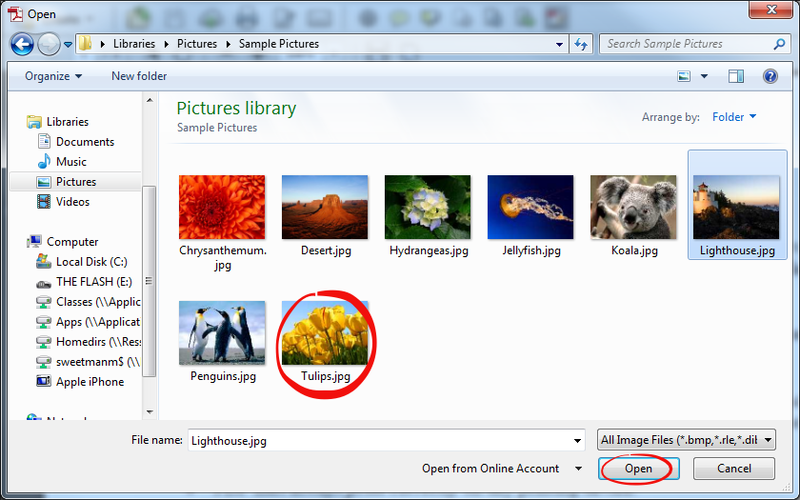 Select the image you would like to add. Place the image where you would like it by dragging and dropping. 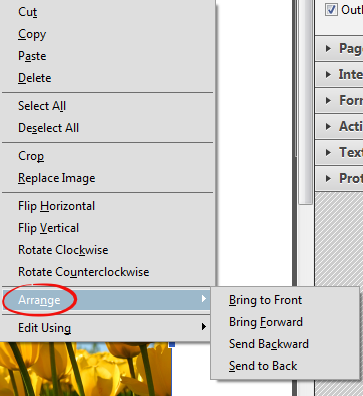 To edit image-text arrangement in the document, right click, and choose Arrange. Send to Back places the image behind the text. Bring to Front places the image in front of the text. 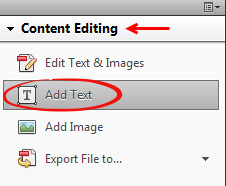 In the Content Editing tab, select Add Text. Add text by dragging your cursor to draw the text box. Type your text in the box. 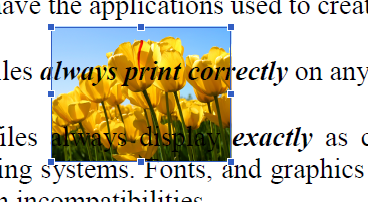 To change formatting, highlight the text. Select the font size, font style, and other options under Format on the right.